Akumal is an oasis on Mexico's busy Caribbean coast. The village of Akumal is not designed for mass tourism like Cancun. There are unique small hotels and vacation rentals fringing the Caribbean, but no thousand room all inclusives spoiling the ocean views. With 16 individually decorated suites, Hacienda de la Tortuga offers the opposite of the all inclusive hotel experience. Guests are well attended by experienced staff, but given the space and quiet we all need in our lives. Akumal is perfect for the independent experienced traveler. Rent a car and come on down! Akumal is just over an hour from Cancun, 40 minutes from Playa del Carmen, and 10 minutes from Tulum. Cancun and Playa del Carmen are conveniently close for a night on the town, but Akumal is a quieter and more casual beach town. Akumal has all the basics, including two small grocery stores, a dozen restaurants, money exchange, an Internet cafe, 3 dive shops, bike rentals, tour services, and car rentals. Hacienda de la Tortuga is located on the best beach in Half Moon Bay. Much of Akumal's shoreline is rocky, fossilized coral, but the stretch in front of the building is very wide, with clean white sand and palm trees. 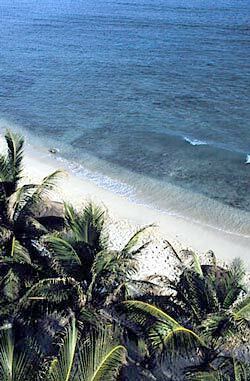 The Half Moon Bay beach is a natural feature created by the sheltered bay you can see from your room. Experienced visitors to Mexico's Riviera Maya come to Akumal to snorkel. Half Moon Bay is a marine reserve, coral rich, with an amazing diversity of fish. 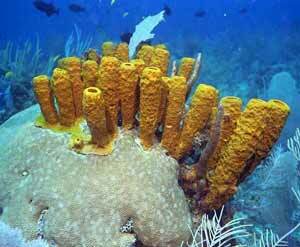 One of the best places in Akumal for snorkeling is located directly in fron, off the beach shore. There is also snorkeling at Yalku Lagoon, just a short walk from Hacienda de la Tortuga. The lagoon offers a unique snorkeling experience. The water is generally calm, and Yalku Lagoon's mix of fresh and salt water makes it a home for large schools of fish (similar to the nearby eco-park Xel Ha). Akumal means Place of the Turtle in Mayan, and sea turtles come to shore to nest from May until October. The peak sea turtle nesting time is in the summer, from June to August. Baby turtles hatch from their eggs until November. Guests of Hacienda de la Tortuga can watch the turtles at night, and will be given information on how to protect these amazing animals. The Hacienda de la Tortuga staff is ready to help make your vacation in Akumal and Mexico's Riviera Maya perfect.